The resounding success of Pro Golf is attributed to genuine/original product range they retail, reliability of service they provide and array of accolades they receive from highly satisfied customers in Sri Lanka and abroad. 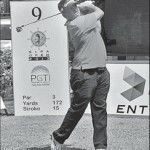 Their capacity to provide all solutions under one roof to the avid Golfer is certainly one of their strengths. Pro Golf your dependable partner in Golf. 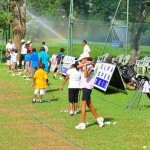 Dialog Enterprise committed to enhancing the quality of golfers in Sri LankaDialog Enterprise, recently concluded a golf clinic conducted by both Sri Lankan and Indian golf professionals at the Royal Golf Club. 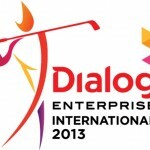 Dialog Enterprise to support two golfersThe 'Sri Lanka Ports Authority Open 2013' golf tournament was held last week.